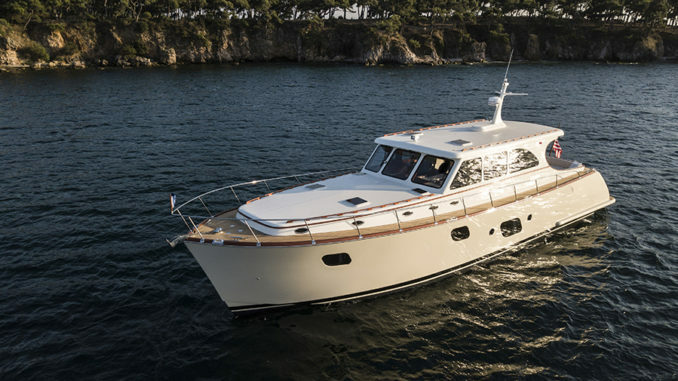 The all-new Vicem 65 IPS Classic, the Turkish-built yacht with classic Down East lines, hasbeen on display at the Fort Lauderdale International Boat Show 2018 (October 31- November 4). 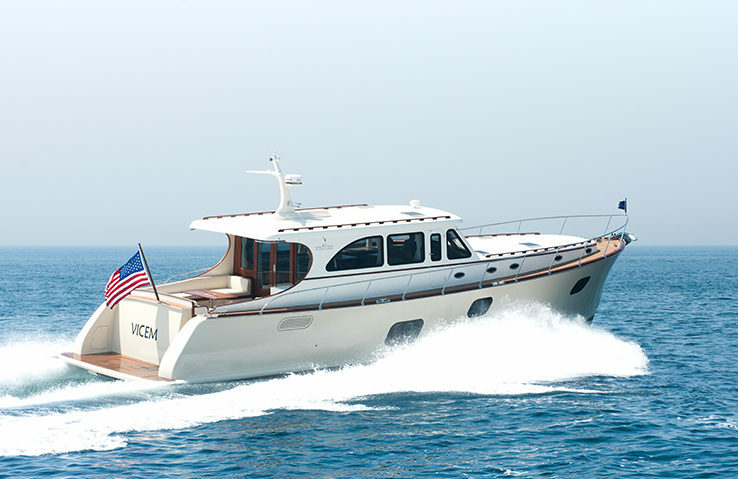 The 65 IPS Classic is Vicem’s 153rd hull, and brings to bear everything the shipyard has become world renowned for in its 28 year history. 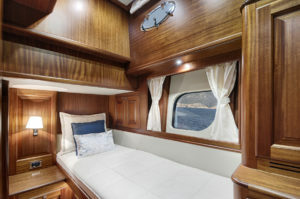 This Vicem’s the first in that size range to be fitted with the Volvo Penta IPS system. 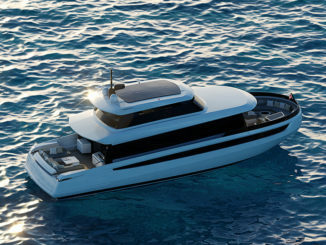 The building technique used to create the Vicem 65 IPS Classic is the cold moldedprocess, west system epoxy. 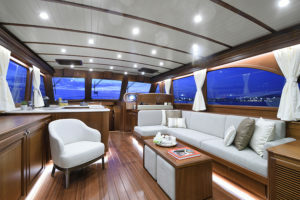 A millenary, unique construction technique which embodies all the construction methods of the Turkish historical marine tradition; the cold moldedprocess west system epoxy a modern procedure different from traditional boat building. 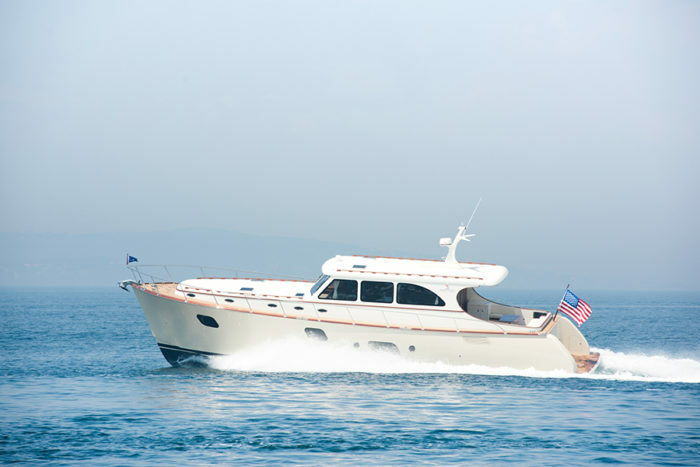 Based on engineered wood construction,cold-molding uses laminated mahogany (coming from managed forests) and a specific formulated epoxy resin to create the hull, decks and principal superstructures. 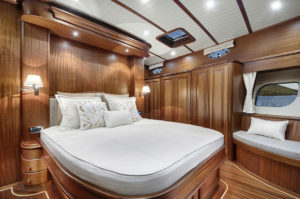 On a strength-to-weight ratio, mahogany is stronger than fiberglass. 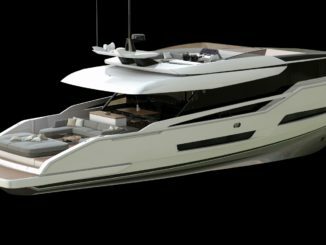 Noelle Semmes, sales director of Vicem Yachts USA, refers: “Vicem’s proprietary construction produces a hull that mixes the best of synthetic materials and natural ones in a completely hand made way, which ensures utmost quality throughout. 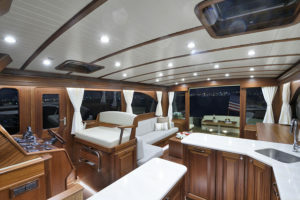 Like all high endbrands, we use high tech fibers like e-glass and carbon fiber to reinforce all stress points and encapsulate the inner and outer layers of the hull, but inside the hull itself, instead of more fiberglass or foam like production boats, we use a mahogany and epoxy laminate that is far superior. Why use wood as the inner layer? Because it is much better. On a weigh-to-strength ratio, mahogany is much stronger than fiberglass, while drastically reducing sound and temperature levels. 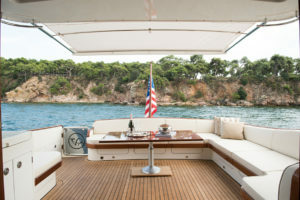 And because this construction uses a lot less epoxy, our hull is much lighter and not as stiff as a fiberglass one, which means we do not pound and rebound over the waves but rather, glide right through them. If you’ve never been out on a Vicem, you are in for the revelation of your life. 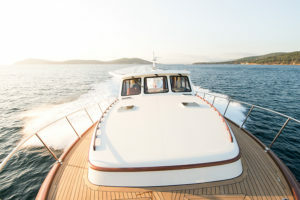 A much gentler ride, on a hull that is virtually silent and much cooler in summer, or warmer in winter, than a plastic fiberglass boat. 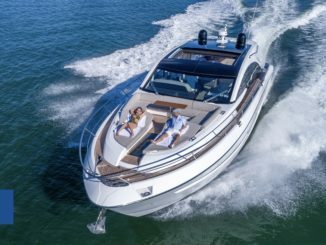 And of course, because of the reduced weight and better sea keeping, we need smaller engines, which results in better fuel consumption“.